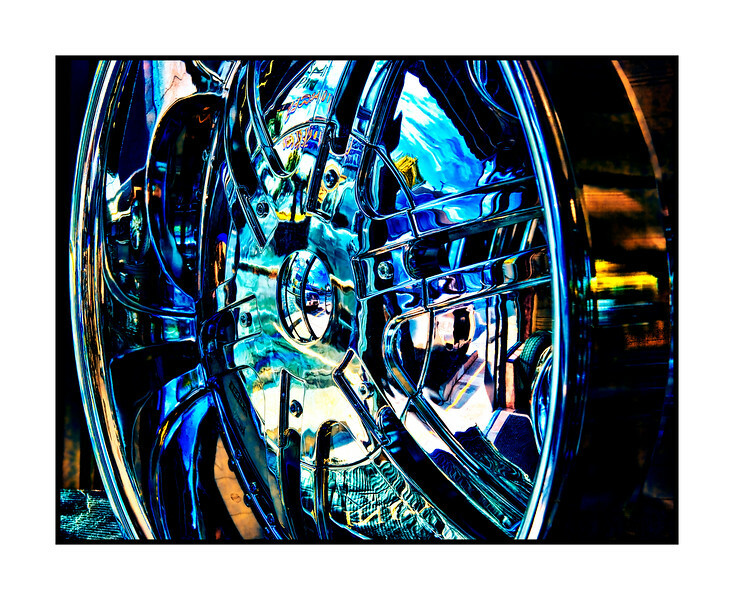 Reflections in a Chrome Wheel - While waiting for a new windshield to be installed in our little RV, I took a bunch of shots of wheels and car grills at the store next door. I played around with these shots tonight and this is one of the results. I put the rest of the shots in my "Reflections" gallery (under the category of "Other") if you are interested in seeing the others. Thanks for your responses to my hummingbird shot today. I was surprised that it was so well received, since it wasn't really what I had been hoping to capture. However, those little birds are so loaded with personality, it is hard not to warm to them. I have a thing for the reflection shots done well and this one is wonderful! You don't just shoot-you create wonderful visual interest in your shots that makes them special. Beautiful abstraction in chrome and color! Wow, this one's nice, too!